For Home Owners, Property Management Companies, Real Estate Agents, who are dealing with a failed roof inspection, should call us to get the needed repairs done, at 817 381 6855 (Also check out the links below to see some more benefits to you). Below you will find the typical checklist a home inspector will use for checking the roof. Call us for any fixes and our discounts for home inspection repairs, or re roofs. Amazingly, the eyeball rule applies even to the roof. The American Society of Home Inspectors (ASHI), a professional organization with around 5,000 members whose guidelines have been adopted as the industry standard, says its member inspectors must "observe" the roof, but it doesn't say they actually have to go up there. 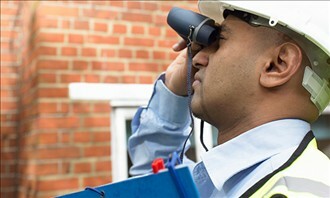 Even some veteran home inspectors think inspectors should closely check the roof. "A really bad roof can look good from the ground. When you see it at an acute angle, you don't always see the defect. But when looking straight down, you can see it better," Stone says. An inspector can make excuses for not getting to the roof, saying it's fragile or slippery. But there are often ways around those hurdles. Stone says you could set up a ladder to look at the roof without actually stepping on it. Or if you stand far enough away from the house, you can get a better perspective by using high-powered binoculars. Stone recommends asking an inspector how he checks the roof before hiring him. If he won't go up, for whatever reason, you might want to try someone else. How Property Management, Real Estate Agents, Home Inspectors, and others in the industry can benefit from DFW Best Roofing relationship.